Need to know the value of your home before you put it on the market? Feel comfortable with our expert local Pre-Listing Appraisals. Pre-Listing Appraisal. Today’s market can be challenging. Whether you’re a homeowner selling your property on your own or a seasoned realtor trying to establish a fair list price, it’s often difficult to sift through all of the market data to determine a true value for your home. So it’s common for homeowners and realtors to rely on appraisers for assistance when establishing a list price for the sale of their home. This is where a Pre-Listing Appraisal will come in to help in acquiring an accurate value for the property. That’s where Bostedo Appraisal Services comes in as we have a long history of working with homeowners in the Greater Pittsburgh and surrounding areas trying to sell their own homes as well as realtors needing additional support for their own listings. In today’s marketplace and ever-changing lender requirements, appraisers are aware of any underwriting changes the Banks may make. These changes deal directly with appraisal changes or requirements that may be added when appraising properties for mortgage purposes. 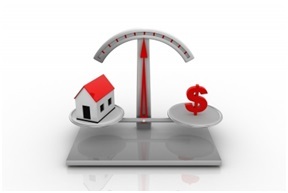 Many of these changes may affect the final value of an appraised value. Regardless, the appraiser will be aware of these requirements and if the pre-listing appraisal is prepared under ‘Bank Requirements’, the homeowner will know exactly where they stand from the beginning. At Bostedo Appraisal Services we can provide you with a professional 3rd party appraisal, which is far more accurate than a realtor based Comparative Market Analysis (CMA). A pre-listing appraisal ensures both you and your agent have an accurate description of your home’s features and a detailed analysis of the most recent and comparable sales.